Amal Clooney is a British-Lebanese lawyer, author and activist and is a barrister at Doughty Street Chambers. Amal specializes in human rights and international law with many high-profile clients, including WikiLeaks founder Julian Assange for his fight against extradition. 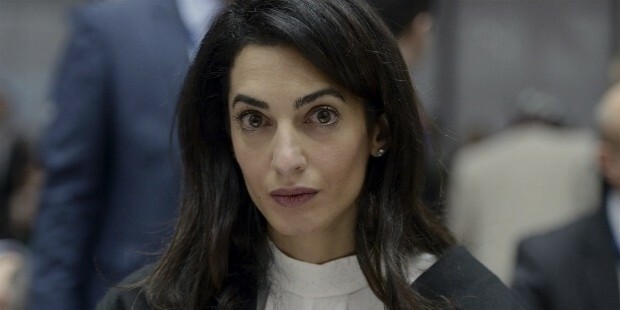 Amal Clooney (nee Amaluddin) was born on February 3, 1978 in Beirut, Lebanon at the time of the Lebanese Civil War. The Alamuddin family migrated to England and finally settled in Gerrards Cross when Amal was two years old. Ramzi Alamuddin, her father, earned his MBA degree from the American University of Beirut and later owned the COMET travel agency. Bariaa Alamuddin, her mother, is a foreign editor of the Pan-Arab al-Hayat newspaper and also the founder of the International Communication Experts, a public relations company. Her company mainly handles celebrity guest bookings, event promotions and public photography. Amal attended Dr. Challoner’s High School in Little Chalfont, Buckinghamshire and later attended the St. Hugh’s College, Oxford. Amal graduated from St. Hugh’s in 2000 with a BA degree in Jurisprudence which is the Oxford equivalent of the LLB. The next year, 2001 saw Amal entering the New York University School of Law to pursue the LLM degree. During this time, she also worked as a clerk for the clerkships program at the International Court of Justice. For a semester whole at the New York University she also worked as a student law clerk for the United States Court of Appeals for the Second Circuit. 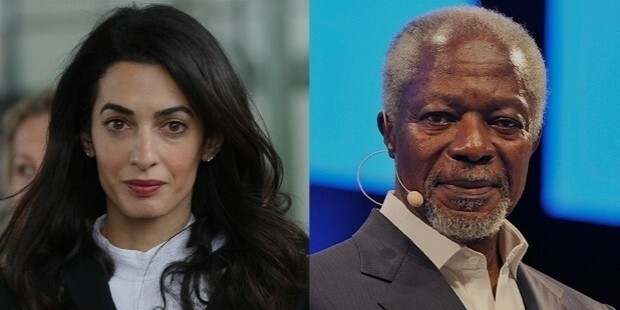 Amal Clooney has worked for Sullivan & Cromwell in New York City for a period of three years as a member of the Criminal Defense and Investigations Group where she worked for many high-profile clients, such as Arthur Anderson and Enron. She later went in 2004 to The Hague and worked at the International Court of Justice and was one of the two NYU-sponsored clerks. In 2010, Amal Clooney returned to Britain and became a barrister in London at Doughty Street Chambers. She was appointed in 2013 to various United Nations commissions including as adviser of Special Envoy Kofi Annan on Syria. Clooney was also a visiting faculty member as well as a senior fellow with Columbia Law School’s Human Rights Institute. 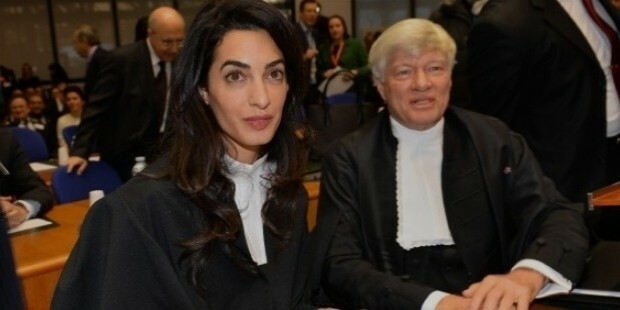 Amal Clooney represented high-profile clients such as Enron and Arthur Anderson. She has worked at the International Court of Justice as a student clerk under Judges Vladen S. Vereshchtein (Russia) and Nabil Elaraby (Egypt). 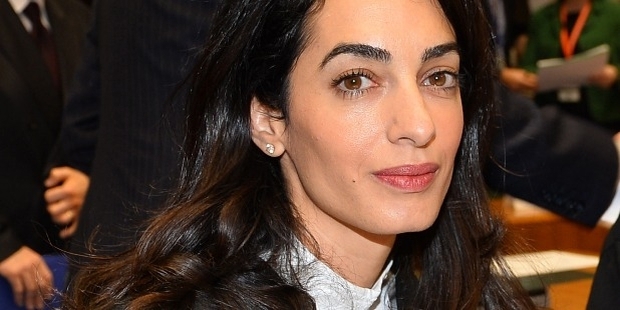 Amal Clooney is multi-lingual and is fluent in English, French and Arabic. 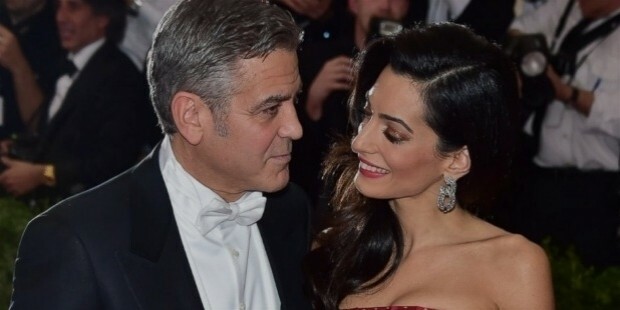 Amal Clooney became engaged to Hollywood actor, George Clooney on April 28, 2014 which was publicly announced in international media. On August 7, 2014 the couple obtained a marriage license from the Royal Borough of Kensington and Chelsea of the United Kingdom. Amal Clooney has received the Exhibition and the Shrigley Award at the St’ Hugh’s College, Oxford. She has also received the Jack J. Katx Memorial Award for excellence in entertainment law in 2001 at the New York University School of Law. 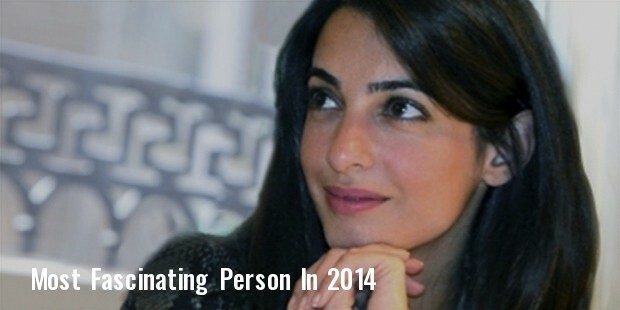 Amal Clooney has been chosen as the Barbara Walters’ Most Fascinating Person of 2014.